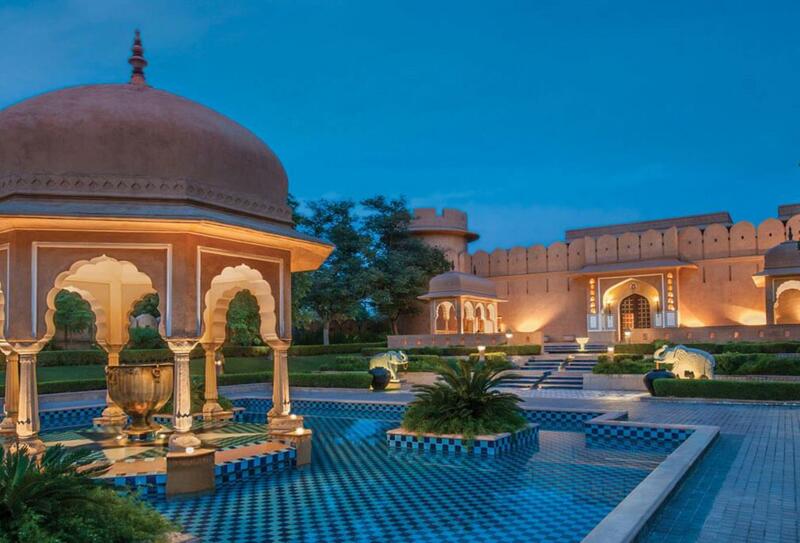 The Oberoi Rajvilas sits within a thirty-two acre setting of stunning landscaped gardens, complete with lush trees and exotic birdlife. Built around an 18th-century temple where yoga and meditation are held, the hotel focuses on relaxation and this is further showcased at the spa. Restaurants include all-day international fare and a seasonal Indian restaurant.